This was printed on a post card I sent to a few people. As I sit here typing in my blog post, the cast and crew of Shattered Angel are at Ilion Little Theatre enjoying their final dress rehearsal. I’m just happy all of them are going to be actually dressed, since my name is in the program under “Costumes.” Full disclosure: I personally did very little in outfitting the cast. I like to think I helped, though. I like to think I can also help publicize the event with my little blog here. So here is another shout-out to our play. 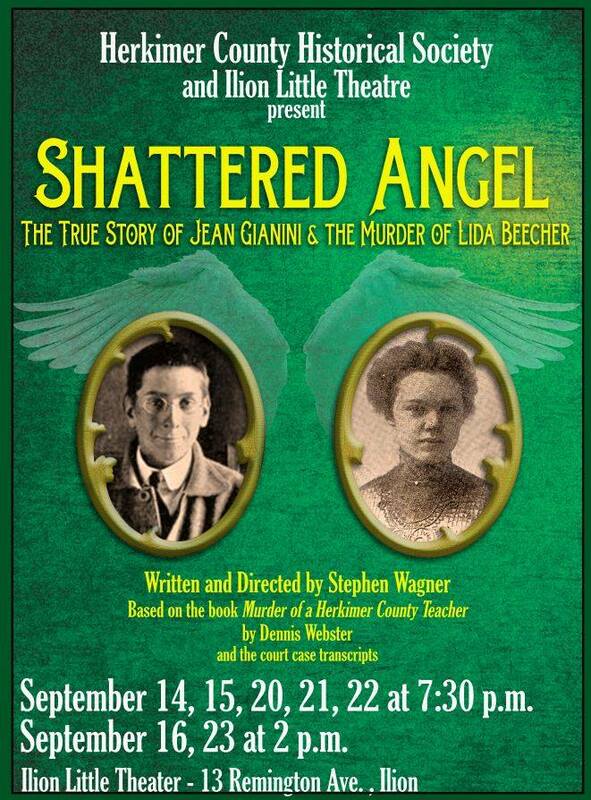 Shattered Angel, as you may have read in this space, tells the story of the murder of an area school teacher by one of her students in 1914. It is a sad story, and a fascinating one, because the defense was not guilty by reason of mental defect, a new idea at the time. 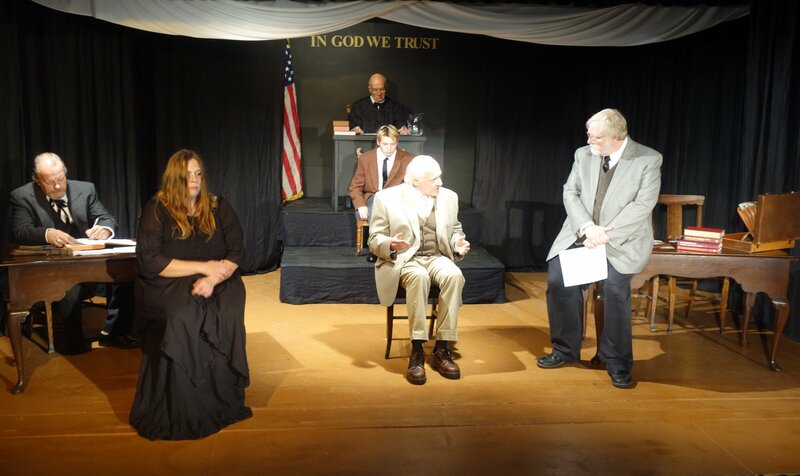 The staging is interesting, too, because although all the action takes place in the courtroom, it is not a straightforward depiction of the trial. Through the use of flashbacks and strategic condensation of testimony and arguments, we get a fuller picture in a shorter time. The lady in the black dress is not actually in the courtroom, if you see what I mean. 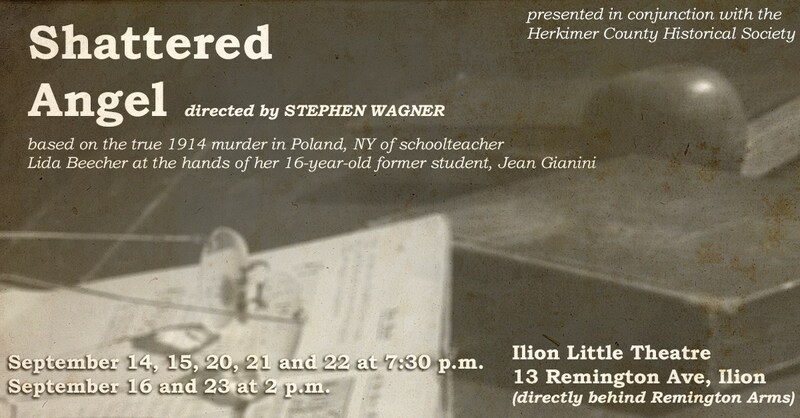 Director Stephen Wagner wrote the script, based on the book Murder of a Herkimer County Teacher: The Shocking 1914 Case of a Vengeful Student by Dennis Webster, and courtroom transcripts. I stole these pictures from the Herkimer County Historical Society’s Facebook page. Historian Caryl Hopson took them at rehearsals. I suppose I should have stayed at dress rehearsal with my Tablet and taken a few pics of my own, but Caryl does such a good job at it. 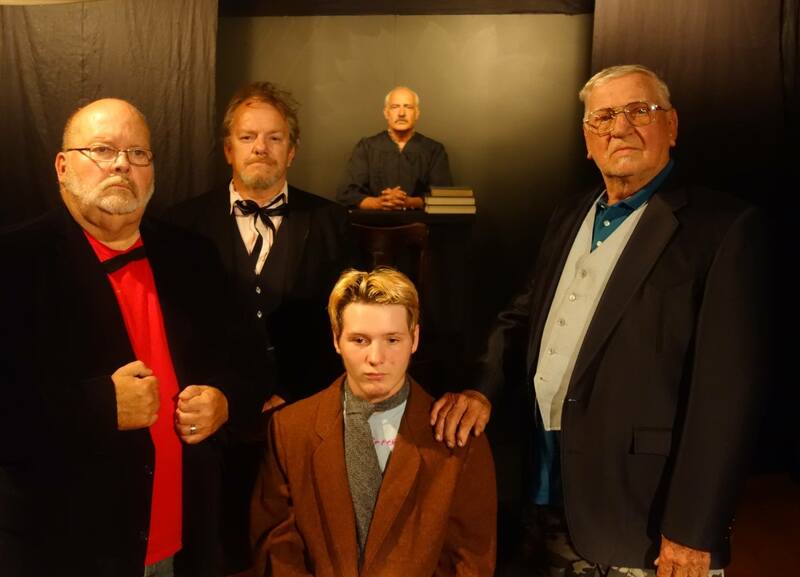 Once again, performances are Friday and Saturday, Sept. 14, 15 at 7:30 p.m.; Sunday Sept. 16 at 2 p.m.; Thursday, Friday and Saturday, Sept. 20, 21 and 22 at 7:30 p.m., and Sunday Sept. 23 at 2 p.m., at Ilion Little Theatre, 13 Remington Ave., Ilion, NY. For tickets, contact the Historical Society at 315-866-6413. One more picture I found on Facebook. Posted in Community Events, humor, personal and tagged blog post, community theatre, costumes, dress rehearsal, final dress rehearsal, herkimer county historical society, Ilion Little Theatre, local history, Murder of a Herkimer County Teacher, Shattered Angel, theatre. Bookmark the permalink.